David L. Marchbanks, 88, of North Ridgeville, went home to be with the Lord at his residence on Friday June 8, 2018, following a brief illness. He was born June, 15, 1929 in Memphis, TN. Mr. Marchbanks had been a resident of North Ridgeville since 1953 and recently was residing at Assisted Living at The Abbewood in Elyria. He was a retired Brakeman from Conrail (formerly the Erie-Lackawanna and New York Central Railroads), where he worked for over 50 years. 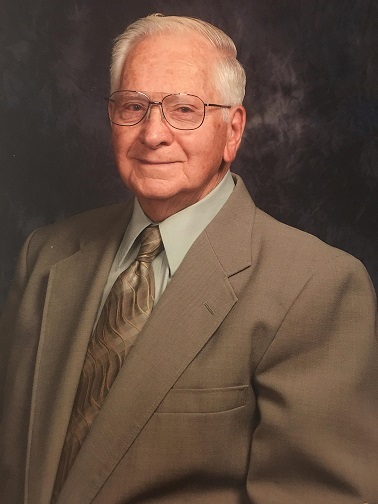 Mr. Marchbanks was a faithful member of First Baptist Church of LaGrange and formerly a faithful member of Chestnut Ridge Baptist Church in Elyria. He served both congregations as a Deacon. Mr. Marchbanks was also a proud member of the NRA. He enjoyed hunting, fishing, collecting and building guns, and gardening. He especially enjoyed growing tomatoes which he lovingly shared with his friends and loved ones. Mr. Marchbanks is survived by; three daughters, Davena Sue Baldauf (Bernie) of Avon Lake, Debra Chattin (Greg) of Waverly and Deeanne Seabolt (Ken) of Grafton; one son, David Marchbanks (Denise) of Indiana; 13 grandchildren, Krista Wilson (Tom), Aimme Keener (Brent), Ryan Baldauf (Heather), D. J. (Jen) and Patrick Kirkbride, Kelly Palmer (Mike), Cody Chattin, Lexi Beever (Mike), Jillian Seabolt-MacNeill, Jenna Guzman (Jose), Jason, Joey (Joy) and Andrew Marchbanks; 15 great-grandchildren, Emily Borje (Stefan), Elizabeth Patrick (Wes), Addison Keener, Connor Baldauf, Kade and Leah MacNeill, Ava, Jayla and Myla Guzman, Emma and Jaxon Palmer, Evelyn Beever, Eathan and Makenzie Marchbanks; two sisters, Martha Ford of MO and Dorothea Harber of TN; and by two brothers, Robert Marchbanks of TN and Jimmy Marchbanks (Gelnda) of TN; He was preceded in death by; his wife, Bobbie (nee Clark) in 2009, a daughter, Danette Kay Marchbanks in 1965, his parents, Lelon and Gladys (nee Knox) Marchbanks, a brother, Raymond Marchbanks, a sister, Marguerite Chipman, and by a brother-in-law, whom he helped to raise, Jerry Clark. The family will receive friends on Saturday June 16, 2018 from 10am until the time of a Celebration of Life Service at 12 noon at First Baptist Church of LaGrange, 200 Church Street in LaGrange, OH. Pastor Noel Hack will officiate the service. Burial will be at Sunset Memorial Park in North Olmsted. The family suggests that memorial contributions be made to First Baptist Church of LaGrange. Liston Funeral Home, North Ridgeville, is serving the family.